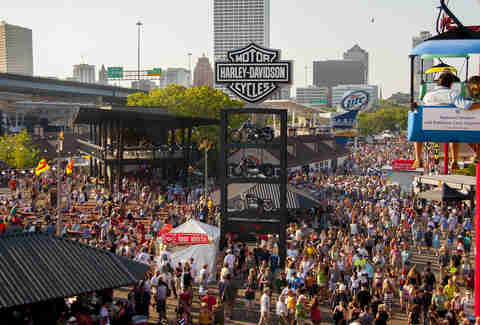 Summerfest is a Milwaukee institution. 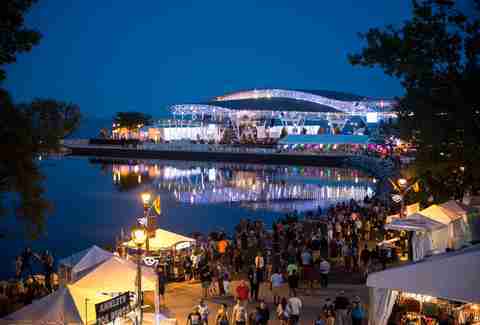 Every summer, the city gears up for 11 days crammed with delicious food of negligible nutritional value, gallons of beer, and musical acts that include legends, up-and-comers, cover bands, and sad retreads. Savvy veterans of the Fest navigate the festival grounds with ease, and know the tricks to having a good time at what’s been dubbed The World’s Largest Music Festival. 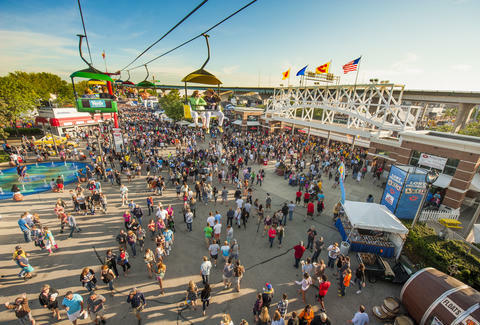 If you’re new to the experience and want to behave like one of the regulars, follow our tips: these are the kind of choices that can make or break your Summerfest -- and make you decide whether you’re ever coming back. Things get pretty nutty on weekend nights, so if you want to have a chiller time, show up in the early afternoon to avoid the crowds. You’ll have easier access to food stands, and the chance to check out great bands that you may have never heard of (but are willing to put in the energy to get noticed by the day crew). The vibe in the afternoon at Summerfest is noticeably more laid-back than when the sun goes down. Finding great bands that play before the coveted 10pm spot is an art form. This year, there are at least two that hail from Wisconsin worth checking out: Trapper Schoepp takes his jangly rock to the Harley-Davidson Roadhouse at 8pm on July 1st, and the soulful folk rock of Cory Chisel and The Wandering Sons takes the stage at the Miller Lite Oasis on July 7th, also at 8pm. 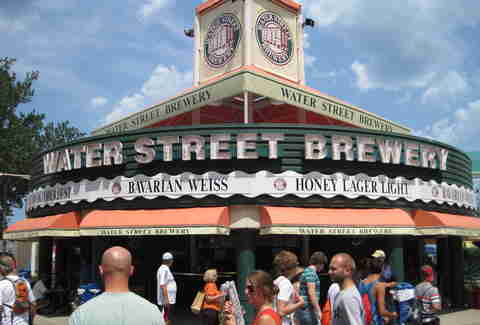 The majority of stages go through mountains of cheap lager kegs, but the Water Street Brewery area and Lakefront Brewery stand are oases where beer has flavor, and you don’t have to fight the masses. And if you prefer the hard stuff, head to JoJo’s Martini Lounge. Parking options are plentiful around Summerfest, but they cost money, and parking lots can mean mayhem when thousands of people pour into them after the gates close. Plus, if you plan to indulge in adult beverages, driving isn’t exactly a brilliant option. Opt instead for a shuttle from a local watering hole, Uber, or the bus. If you need to ask why, then your first stop after walking in the gates should be a Saz’s concession stand. The crispy, golden fries are amazing when dipped in cool sour cream & chive sauce. 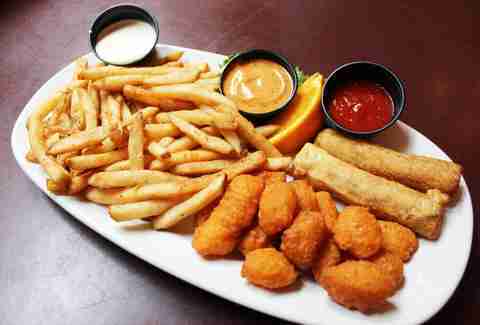 There are plenty of delicious food options at Summerfest. They can all wait. Saz’s is a tradition. Battling heatstroke might be the worst way to spend your Summerfest, although being pressed up next to a sweaty shirtless guy at a crowded concert is a close second. Contrary to popular belief, beer (even light beer) is not the best way to keep fluids in your body, and it gets hot on the asphalt in the sun. So drink water before, during, and after your Summerfest visit. The Summerfest grounds are tough to navigate when filled with revelers, so give yourself plenty of time to make the trek between stages. If you’ve been waiting all summer to see a 10pm show on the opposite end of the grounds, don’t blow it by starting your hike from the BMO Harris Pavilion to the Miller Lite Oasis at 9:45. If you absolutely have to see Styx for the 1,237th time, make sure you’re at their stage hours ahead of time. That way, you can stake out a great spot, and be entertained by lesser-known bands that will appreciate your support. The main walkway through the middle of Summerfest is usually a huge traffic jam. Try walking along the path that follows the lakefront instead. Sure, you may have to dodge a few high school kids making out on the rocks, but the lake walk is far more scenic than wading through the sea of humanity. Summerfest is a crazy scene, so make it a game: snag a picnic table and watch the human condition saunter by, then score points for spotting dudes in cheeseheads, or anyone wearing a vintage Summerfest T-shirt from before 2000 (bonus for any from the '80s). Bonus points for completely ill-fitting clothing items (triple points if the item in question is a tube top). Sorry, zero points for people playing air guitar -- there are far too many of those around. Two aspects of eating at Summerfest that need to be considered: the quality of what you’re eating, and how hard it is to eat while walking. 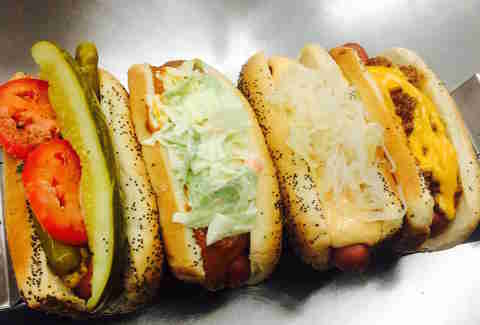 Martino’s works in both categories: the Chicago-style hot dogs are delicious and made for walking (and the line never seems to be too long), and after you’ve been indulging in deep-fried snacks for days on end, a fruit bowl at Catalano Produce is a quick and easy choice that’s actually healthy -- as well as delicious. Even Summerfest amateurs know that you should avoid walking under the Sky Glider at all costs. But the bird’s-eye view from up above is pretty amazing. The smooth ride over the grounds is a relaxing departure from the crowds below. Plus, it’s a pretty quick way to get north or south. There are plenty of great stages at Summerfest to see outstanding live music, but the Marcus is an entirely different ballgame. Make sure to see one of the headliners in the venue that holds 23,000, but still manages to feel kind of intimate. Don’t forget to take in the amazing view of Lake Michigan from the back of the lawn. 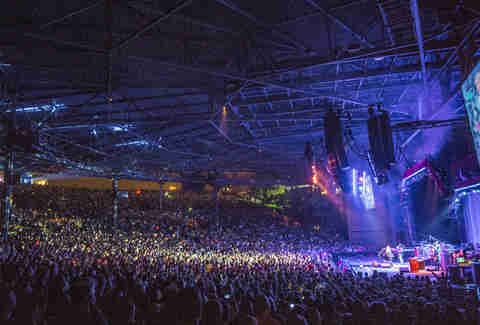 Summerfest shuts down at midnight, and it’s a good idea to evacuate before then. Even if you scoot out at just 11:45, you’ll avoid being a part of the intoxicated mass of humanity doing a zombie walk to wherever the night is taking them. A day filled with sun and beer does odd things to people. Patrick Follett writes about the beers and bars in Milwaukee for Thrillist. He enjoys spending plenty of time with both.